A mild, green and highly efficient route for regio-selective amination of oxiranes was developed via incorporation of Mn(II), Fe(II), Co(II), Ni(II), Cu(II) and Zn(II) cations onto the surface of hydroxyapatite-encapsulated γ-Fe2O3 nanoparticles (γ-Fe2O3@HAp). Among six magnetically recoverable catalytic systems denoted as [γ-Fe2O3@HAp-MII], the catalyst in which M designated as Fe(II) showed the best efficiency as well as regio-selectivity in amination of oxiranes under an ambient reaction condition. A wide variety of aromatic and aliphatic amines were reacted with epoxides using magnetically separable iron catalyst to give the corresponding amino alcohols in excellent yields and selectivities in water as solvent at room temperature. In addition, recovery of the catalyst was successfully carried out in subsequent runs without any decrease in activity even after 5 runs. High regio-selectivity toward terminal ring-opening, efficient catalyst reusability using simple magnetic separation, high yields, simplicity in operation and diversity for various substrates are of advantages of this study. After decades of extensive research, it is well-known that Lewis acid catalysis is a promising approach for many organic transformations . Despite acceptable results achieved in this area, major drawbacks have been left which are mainly associated with the separation of the products from the catalyst and catalyst recycling (often catalysts are destroyed after usual aqueous workup) [2-4].These downsides commonly lead to severe environmental pollutions, limit the efficiency and widespread application of the conventional Lewis acid catalytic systems. Therefore, the development of more efficient Lewis acid catalysts that have all salient features of being green, cost-effective, mild and reusable along with possessing the capability to improve waste-management has been long awaited. In this context, calcium hydroxyapatite (CaHAp) has received a good deal of attention in recent years due to its physiochemical and biological properties. Besides, it has extensive applications in many fields of science such as chromatography, water purification and as absorbent of proteins, antibiotics, anticoagulants and anticancer drugs . Recently, materials based on CaHAp have piqued growing interests in catalysis, because of its excellent ion-exchange ability, low water solubility, availability, low cost and high stability under oxidizing and reducing conditions [6-7]. The introduction of transition metal cations such as Sn(II), Sn(IV), Ru(III), Pd(II) into the apatite framework can generate stable monomeric phosphate complexes, which result in outstanding catalytic performance for different C-X and C-C bond-forming reactions . Compared with the normal CaHAp particles, nano CaHAp particles are even more favorable, due to its higher surface area and binding sites as well as its higher dispersion properties . However, the great difficulty when using nanocatalyst particles is related to their recovery and recycling from the reaction medium by classical methods such as filtration or centrifugation . Therefore, an efficient technique for the facile separation of the nanocatalysts from the reaction mixture seems to be a milestone in this area. Recent studies have demonstrated that magnetic nanoparticles, mainly iron oxides, are excellent supports in catalysis [11-12] avoiding the loss of mass and enhancing the purity of the products using solely a simple magnetic separation technique . There is much interest for ring-opening of oxirans to b-aminoalcohols because obtained products are valuable compounds that have extensive applications in medicinal chemistry, organic synthesis in general and particularly in asymmetric synthesis as chiral ligands and auxiliaries [14-15]. In recent years, different metal catalysts and reaction media such as metal-triflates , metal halides  or other metal salts  as well as polymer supported catalysts , fluorinated alcohols  and ionic liquids  have been used for the amination of oxirans. Despite lots of work dedicated to this area which has been led to significant achievements, typical shortcomings such as high temperatures or large amounts of toxic and unrecoverable/ unrecyclable metal catalysts as well as formation of side products (mainly bis-adducts) have still remained as the main challenges of this reaction. In addition, most of the transition metal catalysts used for this reaction such as Er , Y ,Sb ,Sc ,Bi  and Sm  are very expensive rare earth metals, which their application as unrecoverable catalysts is not economical. Consequently, it seems that the design of efficient, environmentally accepted, low-cost and recoverable catalytic systems for amination of oxirans, especially in its regio-selective form [28-32],based on inexpensive and non-toxic transition metals is a requisite. In this respect and in pursuit of our on-going programme in devising novel “catalytic assemblies” based on the ‘green chemistry’ concepts [33-38], we report herein a highly active and regio-selective method for the amination of oxirans using a magnetic nanoparticle supported Fe(II) catalyst in water. To do so, hydroxyapatite-encapsulated γ-Fe2O3 nanocrystallities was prepared and used for the immobilization of various transition metals. The catalytic activity and selectivity of the prepared metal catalysts were compared in a model reaction and it was revealed that the Fe(II) based catalyst is superior to all others. To the best of our knowledge, eco-friendly Fe(II)cations have not been reported as a catalyst for this reaction yet. All materials and solvents are in analytical-grade and purchased from Merck and Fluka Companies without further purifications. Water was deionized before the usage. Catalysts were characterized using XRD, SEM, EDX, VSM and FT-IR. The XRD patterns were recorded at r.t. by a Philips X’pert 1710 diffractometer using Co Kα (λ = 1.78897 Å) and Cu Kα (λ = 1.54056 Å) in Bragg-Brentano geometry (θ-2θ). Scanning electron microscopy (SEM) images were obtained via SEM (Philips XL 30 and S-4160) with gold coating equipped with energy dispersive X-ray spectroscopy (EDX). FT-IR spectra were obtained over the region 400-4000 cm-1 with NICOLET IR100 FT-IR. A home-made VSM was used for the magnetic properties of the catalysts (Meghnatis Daghigh Kavir Company, Iran). 1H NMR (500 MHz) spectra were recorded in CDCl3 on a Bruker Avance DRS spectrometer. Fe(II) (c), Co(II) (d), Ni(II) (e), Cu(II) (f), Zn(II) (g). Preparation of HAp-encapsulated magnetite was carried out according to the previously reported methods . 500 mg γ-Fe2O3@HAp was stirred with different aqueous solutions of M(II) salts (MnCl2.4H2O, FeCl2.4H2O, CoCl2, NiCl2, Cu(NO3)2.4H2O and Zn(NO3)2.6H2O) (6.4 mmol in 50 ml DW) separately at r.t. for a period of 24 h. The obtained slurry was separated with an NdBFe (Neodymium-Bohr-Fe) magnet, washed with DW and methanol twice and dried overnight at 50 °C (Scheme 1). 1 mmol of epoxy compound and 1.2 mmol of amine in the presence of 9 mol% of γ-Fe2O3@HAp-FeII were stirred in 3 ml water at room temperature. After completion of the reaction (monitored by TLC), 5 ml CH2Cl2 was added to the reaction mixture and the catalyst was separated with an external magnetic device. The resulting CH2Cl2 phase was concentrated on a rotary evaporator to obtain crude products. Further purification was performed via recrystallization from n-hexane and ethyl acetate or using column chromatography eluted by AcOEt and hexane (1:10 to 1:4). All of the products were known compounds and their NMR spectra were consistent with the reported compounds. γ-Fe2O3@HAp nanoparticles were prepared according to the previously reported procedure  via the mixing of iron(II) and iron(III) salts followed by the addition of Ca(II) and phosphate sources. Afterwards, the immobilization of Mn(II), Fe(II), Co(II), Ni(II), Cu(II) and Zn(II) cations was successfully achieved on the surface of γ-Fe2O3@HAp as outlined in Scheme 1 by treatment of aqueous solutions of divalent metal salts with γ-Fe2O3@HAp nanoparticles at room temperature for 24 h. The presented simple route provides nanoparticles of the catalysts in uniform morphologies, narrow size distributions and excellent magnetic properties. Fig. 2. The XRD patterns of γ-Fe2O3@HAp and the synthesized γ-Fe2O3@HAp-MII. The prepared catalysts (denoted as γ-Fe2O3@HAp-MII) were characterized by various spectroscopic techniques. Fig. 1 shows the FT-IR spectra of all catalysts. The absorption bands at 3564 cm-1 represent the stretching vibration of the O-H groups in HAp component. Signals at 1039 cm-1 assigned as the stretching mode of phosphate group (PO43-, P-O), while the bands at 601 cm-1 and 567 cm-1 exhibited it’s bending vibration (PO43-, O-P-O) which were in overlap with Fe-O stretching. As expected, there was no obvious difference between FT-IR spectrum of γ-Fe2O3@HAp and its M(II) supported analogues. The crystalline phase of the prepared M(II) supported on HAp encapsulated γ-Fe2O3 nano structures was investigated by X-ray diffraction (XRD) analysis. All of the M(II) supported structures show the diffraction patterns similar to their parent γ-Fe2O3@HAp. Hydroxyapatite and maghemite constituents were obviously detected in XRD patterns. The XRD patterns of Mn2+, Fe2+, Co2+, Ni2+, Cu2+ and Zn2+ supported γ-Fe2O3@HAp are shown in Fig. 2 in comparison with XRD of their γ-Fe2O3@HAp parent. In all materials, the observed diffraction peaks are agreed well with the cubic structure of maghemite (1999 JCPDS file No 39-1346) and the hexagonal structure of hydroxyapatite (1999 JCPDS file No. 24-0033). Only, in the case of γ-Fe2O3@HAp-Zn2+, little amounts of a new phase, Zn3(PO4)2.4H2O, is detected at around 11.25°, 22.58° and 36.54° (1999 JCPDS file No. 37-0465) as impurity. Except for γ-Fe2O3@HAp-Zn2+, in all of the XRD patterns, no other phase was observed. Therefore, XRD analysis proved that modification of the surface of γ-Fe2O3@HAp with metal ions does not greatly change the crystalline structure and phase purity of γ-Fe2O3@HAp. Also, other iron oxides phases such as Fe3O4 and metallic Fe are not detected in XRD patterns. Importantly, no oxidized phase of metals such as metal oxides is observed in XRD patterns indicating that metal species on the surface of γ-Fe2O3@HAp are stable and would not be oxidized under air. Moreover, the SEM images of the prepared nanoparticles (Fig. 3) confirmed their nano-metric sizes, spherical morphologies and uniform size distributions as well. As seen in SEM images, all of the materials are in the range of about 20-80 nm. Cu(II) and (f) Zn(II) (for a, b, c and e scale bar: 500 nm, for d and f scale bar: 1 µm). The presence of related M(II) ions in all of the catalysts was verified by EDX as well as ICP analysis (summarized in Table 1). These analyses showed the successful advent of metal ions into the structure of γ-Fe2O3@HAp nanoparticles. Notably, as can be seen in Table 1, (Ca+M)/P ratio in all of the catalysts is higher than 1.67 (Ca/P ratio in stoichiometric γ-Fe2O3@HAp) confirming the fact that, M(II) ions are firmly supported on the surface of γ-Fe2O3@HAp crystals and there is not merely a simple ion exchange with Ca(II)in the structure of HAp. Also, the existence of Cl peak in EDX spectra (see supporting information) for those catalysts at which MCl2 was used as metal source, underpinned this conclusion. If Cl was absent in the EDX spectra, M(II) would be replaced with Ca(II). After fully characterization of the prepared γ-Fe2O3@HAp-MII catalysts, their catalytic activity and selectivity were evaluated in the ring-opening of oxiranes with amines. Firstly, the amination of 2,3-epoxypropyl phenyl ether (1a) with p-methyl aniline (2a) (Table 2) was selected as a model reaction to compare the catalytic performance of the present γ-Fe2O3@HAp-MII catalysts. As shown in Table 2 (entries 1-6), all of the prepared γ-Fe2O3@HAp-MII catalysts successfully promoted this reaction in high isolated yields when the reactions accomplished at room temperature in water. Interestingly, in all cases 1-phenoxy-3-(p-tolylamino)propan-2-ol (3a) was the main product. It is important to note that in the absence of any catalyst or using unmodified γ-Fe2O3@HAp, the reaction did not progressed effectively (Table 2, entries 7, 8) indicating the crucial role of the decorated transition metals on the surface of γ-Fe2O3@HAp for catalysis. Since the ferrous ion containing catalyst (γ-Fe2O3@HAp-FeII) showed the best catalytic activity and more importantly excellent selectivity in the model reaction (Table 2, entry 2), and since the iron is inexpensive and one of the most abundant and environmentally friendly transition metals, our next investigations focused on the γ-Fe2O3@HAp-FeII. In the next stage, the amount of γ-Fe2O3@HAp-FeII catalyst was screened (Table 2, entries 9-11) and it was found that the best result is obtained using 9 mol% of the catalyst in which the reaction is completed during 4 h while keeping its selectivity to 100% (Table 2, entry 10). Thus, 9 mol% of the γ-Fe2O3@HAp-FeII catalyst, water as solvent and room temperature were selected as a mild and green condition to explore the substrate scope of the reaction. Having the optimized reaction conditions in hand, in the next step the substrate scope and limitations of epoxy ring opening reaction in the presence of developed Fe based catalyst were studied. As exemplified in Table 3 entries 1-4, various aromatic amines such as aniline and its para-substituted derivatives bearing either electron-withdrawing or electron-donating groups successfully reacted with 2,3-epoxypropyl phenyl ether (1a) during 3-6 h at room temperature with high yields and selectivities. Importantly, less reactive aliphatic, benzylic and heteroaromatic amines provided the corresponding β-aminoalcohols in some longer reaction times but still at room temperature with 100% selectivity (Table 3, entries 5-8). To expand the substrate scope of the reaction, various epoxides were reacted with aniline and again it was observed that the corresponding products are obtained with high efficiencies at ambient conditions (Table 3, entries 9-12).Notably, except for 2-phenyloxirane, which was opened by internal regio-selectivity and 2-((allyloxy)methyl)oxirane, in all cases the terminal attack was predominant. One of the important subjects which should be considered in the case of core/shell magnetic materials is their sufficient magnetic properties prerequisite for the practical separation from the reaction mixture . Magnetic features of γ-Fe2O3@HAp and γ-Fe2O3@HAp-FeII nanoparticles were analysed using a homemade vibrating sample magnetometer (Meghnatis Daghigh Kavir Company, Iran) at room temperature. As depicted in Fig. 4, the hysteresis loops for the samples were completely reversible. The magnetic saturation (Ms) values for γ-Fe2O3@HAp and γ-Fe2O3@HAp-FeII are 7.24 and 11.10 emu g-1, respectively. High permeability in magnetizations and reversibility in the hysteresis loops ensure that no aggregation has been imposed on the nanoparticles in the magnetic fields . The superparamagnetic feature of γ-Fe2O3@HAp-FeII can provide the easy and complete separation of the catalyst nanoparticles from the reaction mixture using an external magnet device. Using this separation technique, the recyclability of the catalyst was examined in the reaction of 2,3-epoxypropyl phenyl ether and aniline. No significant decrease in yields and selectivity was observed after 5 repeated reactions (Fig. 5). It is worth mentioning that no iron leaching was observed in the aqueous solution of the reaction after each recovery of the catalyst based on ICP analysis. Fig. 4. VSM curves of γ-Fe2O3@HAp-FeII and γ-Fe2O3@HAp nanoparticles. Furthermore, the content of iron in the recycled catalyst after 5 runs was similar to the fresh catalyst (3.63 mmol g-1) indicative of the negligible leaching of iron during the reaction. Finally, to check the heterogeneity of the catalyst, in the reaction of 2,3-epoxypropyl phenyl ether (1a) and aniline (2a), the catalyst was decanted by an external magnet after 1 h from initiation and the supernatant was tested for activity during 24 h. At first 1 h period (in the presence of catalyst) the reaction progressed about 40% but in the second 24 h period (without catalyst) no promotion was observed in the reaction. This issue is consistent with the heterogeneous nature of the prepared catalyst. It seems that the catalytic process should pass through coordination of the supported FeII ions to epoxide to generate a metal-organic activated electrophile, and subsequent nucleophilic attack by amine provides the desired product (Scheme 2). In summary, six transition metals were supported on hydroxyapatite-encapsulated γ-Fe2O3 nanoparticles. Among all prepared catalysts, the γ-Fe2O3@HAp-FeII was chosen as the best catalyst, demonstrating the best regio-selectivity as well as the highest yield in amination of oxiranes. Studies in terms of catalytic activity and regio-selectivity in the ring-opening of oxiranes by amines showed that except for 2-phenyloxirane, which completely was opened by internal regio-selectivity, and 2-((allyloxy)methyl)oxirane, in all cases the terminal attack was predominant pathway for the reaction. The present method requires small amounts of non-toxic and inexpensive γ-Fe2O3@HAp-FeII as catalyst. Also, the reactions were accomplished in water and at ambient temperature as a mild and green condition. In addition, recovery of the catalyst was successfully carried out in subsequent runs without any decrease in activity even after 5 runs. High regio-selectivity toward terminal ring-opening, efficient catalyst reusability using simple magnetic separation, high yields, simplicity in operation and diversity for various substrates are of advantages of this study. Corma A, Garcia H. Lewis acids: from conventional homogeneous to green homogeneous and heterogeneous catalysis. Chem. Rev. 2003; 103 (11): 4307-66. 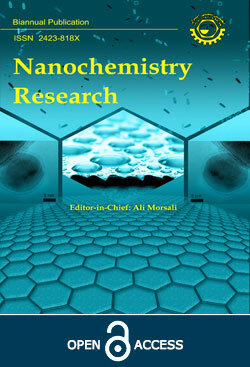 Schmid G. Nanoparticles: from theory to application: John Wiley & Sons; 2011. Lee RA, Donald DS. Magtrieve™ an efficient, magnetically retrievable and recyclable oxidant. Tetrahedron Lett. 1997; 38 (22): 3857-60. Bogdal D, Lukasiewicz M, Pielichowski J, Miciak A, Bednarz S. Microwave-assisted oxidation of alcohols using Magtrieve™. Tetrahedron. 2003; 59 (5): 649-53. Uskoković V, Uskoković DP. Nanosized hydroxyapatite and other calcium phosphates: chemistry of formation and application as drug and gene delivery agents. J. Biomed. Mater. Res. Part B: Applied Biomaterials. 2011; 96 (1): 152-91. Zhang Y, Li Z, Sun W, Xia C. A magnetically recyclable heterogeneous catalyst: Cobalt nano-oxide supported on hydroxyapatite-encapsulated γ-Fe2O3 nanocrystallites for highly efficient olefin oxidation with H2O2. Catal Commun. 2008; 10 (2): 237-42. Zhang Z, Zhang L, Chen L, Chen L, Wan QH. Synthesis of novel porous magnetic silica microspheres as adsorbents for isolation of genomic DNA. Biotechnol. Prog. 2006; 22 (2): 514-8. Zhang Z, Zhao Z. Hydroxyapatite Supported Lewis Acid Catalysts for the Transformation of Trioses in Alcohols. Chinese J Catal. 2011; 32 (1–2): 70-3. Ma'mani L, Heydari A, Shiroodi RK. Nanohydroxyapatite microspheres as a biocompatible and recoverable catalyst for synthesis of carbon-phosphorous bond formation. Curr. Org. Chem. 2009; 13 (7): 758-62. Guin D, Baruwati B, Manorama SV. Pd on amine-terminated ferrite nanoparticles: a complete magnetically recoverable facile catalyst for hydrogenation reactions. Org. Lett. 2007; 9 (7): 1419-21. Karimi B, Mansouri F, Mirzaei HM. Recent Applications of Magnetically Recoverable Nanocatalysts in C—C and C—X Coupling Reactions. ChemCatChem. 2015; 7 (12): 1736-89. Polshettiwar V, Luque R, Fihri A, Zhu H, Bouhrara M, Basset J-M. Magnetically recoverable nanocatalysts. Chem. Rev. 2011; 111 (5): 3036-75. Sheykhan M, Ma’mani L, Ebrahimi A, Heydari A. Sulfamic acid heterogenized on hydroxyapatite-encapsulated γ-Fe2O3 nanoparticles as a magnetic green interphase catalyst. J. Mol. Catal. A: Chem. 2011; 335 (1–2): 253-61. Corey EJ, Helal CJ. Reduction of carbonyl compounds with chiral oxazaborolidine catalysts: a new paradigm for enantioselective catalysis and a powerful new synthetic method. Angew. Chem. Int. Ed. 1998; 37 (15): 1986-2012. Williams DBG, Cullen A. Al(OTf)3-Mediated Epoxide Ring-Opening Reactions: Toward Piperazine-Derived Physiologically Active Products. J. Org. Chem. 2009; 74 (24): 9509-12. Fringuelli F, Pizzo F, Tortoioli S, Vaccaro L. Solvent-Free Al(OTf)3-Catalyzed Aminolysis of 1,2-Epoxides by 2-Picolylamine: A Key Step in the Synthesis of Ionic Liquids. J. Org. Chem. 2004; 69 (22): 7745-7. Varala R, Enugala R, Adapa SR. Synthesis of β-Amino Alcohols by Regioselective Ring Opening of Epoxides with Aromatic Amines Catalyzed by Tin(II) Chloride. Lett in Org Chem. 2006; 3 (3): 187-90. Curini M, Epifano F, Marcotullio Maria C, Rosati O. Zirconium Sulfophenyl Phosphonate as a Heterogeneous Catalyst in the Preparation of β-Amino Alcohols from Epoxides. Eur. J. Org. Chem. 2001; 2001 (21): 4149-52. Yarapathy VR, Mekala S, Rao BV, Tammishetti S. Polymer supported copper sulphate promoted aminolysis of epoxides with aromatic amines. Catal Commun. 2006; 7 (7): 466-71. Das U, Crousse B, Kesavan V, Bonnet-Delpon D, Bégué J-P. Facile Ring Opening of Oxiranes with Aromatic Amines in Fluoro Alcohols. J. Org. Chem. 2000; 65 (20): 6749-51. Yadav J, Reddy B, Basak A, Narsaiah AV. [Bmim] BF 4 ionic liquid: a novel reaction medium for the synthesis of β-amino alcohols. Tetrahedron lett. 2003; 44 (5): 1047-50. Procopio A, Gaspari M, Nardi M, Oliverio M, Rosati O. Highly efficient and versatile chemoselective addition of amines to epoxides in water catalyzed by erbium(III) triflate. Tetrahedron Lett. 2008; 49 (14): 2289-93. Bhanushali MJ, Nandurkar NS, Bhor MD, Bhanage BM. Y(NO3)3·6H2O catalyzed regioselective ring opening of epoxides with aliphatic, aromatic, and heteroaromatic amines. Tetrahedron Lett. 2008; 49 (22): 3672-6. Singh MC, Peddinti RK. Antimony (III) chloride-catalyzed ring opening of epoxides with anilines. Tetrahedron Lett. 2007; 48 (41): 7354-7. Placzek AT, Donelson JL, Trivedi R, Gibbs RA, De SK. Scandium triflate as an efficient and useful catalyst for the synthesis of β-amino alcohols by regioselective ring opening of epoxides with amines under solvent-free conditions. Tetrahedron lett. 2005; 46 (52): 9029-34. Ollevier T, Lavie-Compin G. An efficient method for the ring opening of epoxides with aromatic amines catalyzed by bismuth trichloride. Tetrahedron lett. 2002; 43 (44): 7891-3. Yadav JS, Reddy AR, Narsaiah AV, Reddy BVS. An efficient protocol for regioselective ring opening of epoxides using samarium triflate: Synthesis of propranolol, atenolol and RO363. J. Mol. Catal. A: Chem. 2007; 261 (2): 207-12. Sabitha G, Babu RS, Rajkumar M, Yadav J. Cerium(III) chloride promoted highly regioselective ring opening of epoxides and aziridines using NaN3 in acetonitrile: a facile synthesis of 1, 2-azidoalcohols and 1, 2-azidoamines. Org. lett. 2002; 4 (3): 343-5. Das S, Asefa T. Epoxide ring-opening reactions with mesoporous silica-supported Fe(III) catalysts. ACS Catal. 2011; 1 (5): 502-10. Reddy MA, Surendra K, Bhanumathi N, Rao KR. Highly facile biomimetic regioselective ring opening of epoxides to halohydrins in the presence of β-cyclodextrin. Tetrahedron. 2002; 58 (30): 6003-8. Srilakshmi Krishnaveni N, Surendra K, Narender M, Nageswar Y, Rama Rao K. Highly efficient regioselective ring opening of Aziridines to β-haloamines in the presence of β-cyclodextrin in water. Synthesis. 2004 (4): 501-2. Gálvez JA, de Villegas MDD, Badorrey R, López-Ram-de-Víu P. Switch in regioselectivity of epoxide ring-opening by changing the organometallic reagent. Org. Biomol. Chem. 2011; 9 (23): 8155-62. Saberi D, Sheykhan M, Niknam K, Heydari A. Preparation of carbon nanotube-supported α-Fe2O3@CuO nanocomposite: a highly efficient and magnetically separable catalyst in cross-coupling of aryl halides with phenols. Catal. Sci. Technol. 2013; 3 (8): 2025-31. Sheykhan M, Ranjbar ZR, Morsali A, Heydari A. Minimisation of E-Factor in the synthesis of N-hydroxylamines: the role of silver(I)-based coordination polymers. Green Chem. 2012; 14 (7): 1971-8. Ma’mani L, Sheykhan M, Heydari A. Nanosilver embedded on hydroxyapatite-encapsulated γFe2O3: Superparamagnetic catalyst for chemoselective oxidation of primary amines to N-monoalkylated hydroxylamines. Appl. Catal., A. 2011; 395 (1): 34-8. Ma’mani L, Sheykhan M, Heydari A, Faraji M, Yamini Y. Sulfonic acid supported on hydroxyapatite-encapsulated-γ-Fe2O3 nanocrystallites as a magnetically Brønsted acid for N-formylation of amines. Appl. Catal., A. 2010; 377 (1): 64-9. Ma’mani L, Heydari A, Sheykhan M. The Ritter reaction under incredibly green protocol: Nano magnetically silica-supported Brønsted acid catalyst. Appl. Catal., A. 2010; 384 (1): 122-7. Sheykhan M, Mohammadnejad H, Akbari J, Heydari A. Superparamagnetic magnesium ferrite nanoparticles: a magnetically reusable and clean heterogeneous catalyst. Tetrahedron Lett. 2012; 53 (24): 2959-64. Zhang Y, Xia C. Magnetic hydroxyapatite-encapsulated γ-Fe2O3 nanoparticles functionalized with basic ionic liquids for aqueous Knoevenagel condensation. Appl. Catal., A. 2009; 366 (1): 141-7. Ślósarczyk A, Paszkiewicz Z, Paluszkiewicz C. FTIR and XRD evaluation of carbonated hydroxyapatite powders synthesized by wet methods. J. Mol. Struct. 2005; 744: 657-61. Tajbakhsh M, Hosseinzadeh R, Rezaee P, Alinezhad H. Regioselective Ring Opening of Epoxides with Amines Using Silica-bonded S-sulfonic Acid under Solvent-free Conditions. J. Mex. Chem. Soc. 2012; 56 (4): 402-7. Karimian R, Piri F, Karimi B, Abolghasem M. Silica chloride nano particle catalyzed ring opening of epoxides by aromatic amines. Chin. J. Chem. 2011; 29 (5): 955-8. Cepanec I, Litvić M, Mikuldaš H, Bartolinčić A, Vinković V. Calcium trifluoromethanesulfonate-catalysed aminolysis of epoxides. Tetrahedron. 2003; 59 (14): 2435-9. Khaksar S, Heydari A, Tajbakhsh M, Bijanzadeh HR. A facile and efficient synthesis of β-amino alcohols using 2, 2, 2-trifluoroethanol as a metal-free and reusable medium. J. Fluorine Chem. 2010; 131 (1): 106-10. Torregrosa R, Pastor IM, Yus M. Solvent-free direct regioselective ring opening of epoxides with imidazoles. Tetrahedron. 2007; 63 (2): 469-73. Chini M, Crotti P, Macchia F. Regioalternating selectivity in the metal salt catalyzed aminolysis of styrene oxide. J. Org. Chem. 1991; 56 (20): 5939-42. Azizi N, Saidi MR. Highly efficient ring opening reactions of epoxides with deactivated aromatic amines catalyzed by heteropoly acids in water. Tetrahedron. 2007; 63 (4): 888-91. Chimni SS, Bala N, Dixit VA, Bharatam PV. Thiourea catalyzed aminolysis of epoxides under solvent free conditions. Electronic control of regioselective ring opening. Tetrahedron. 2010; 66 (16): 3042-9.